He seems likes an airheaded, goofy, kind, professional quarterback. 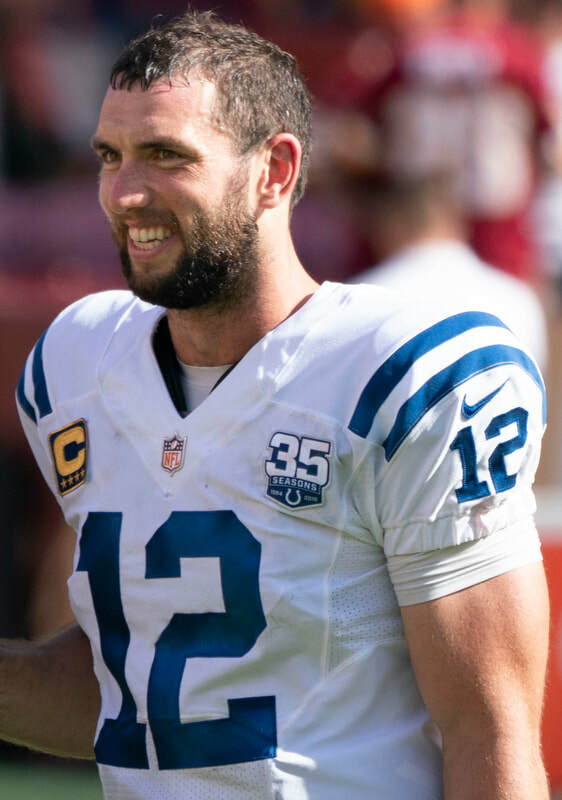 Always smiling, always laughing, and always showing opponents respect on the field, but in reality, Andrew Luck is more than just a smile, more than a goofball, more than a kind guy. After debuting in the NFL in 2012, Luck has been one of the most proficient quarterbacks in the league. Known for his strong arm and agile moves he is also known as one of the most respectful players on the field at all times. After getting hit by opposing lineman, you can often hear luck say “Good hit big guy” or “Nice play man”. Some players say they hate how kind he is but others say he brings a more refreshing and nice side the high contact sport. Beyond his kindness, sometimes Luck is referred to as goofy or airheaded. All though he might have a goofy personality, Luck is far from airheaded. Luck was a student athlete at the prestigious Stanford University. Luck put up an impressive 3.48 GPA at Stanford while majoring Environmental Engineering. Andrew Luck also put an impressive 37 out of 50 score on his Wonderlic test that all incoming NFL rookies take. Off the field Luck is still a jack of all trades. He has his own book club, where he shares some of his favorite reads. Away from American Football he is also an avid Football (Soccer) fan. He is often seen at his hometown and favorite team Houston Dynamo games, and supporting his favorite player Clint Dempsey and the fellow Americans at the international level. From reading the books, to judging a book by its cover, Andrew Luck may not be what people make him out to be. He might be a goofball, but he is not an airhead. The question that is sending shockwaves through not only the basketball world but the sports world as a whole. 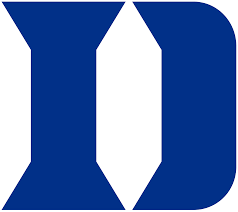 Could the Duke University Blue Devils; who are a collegiate level basketball team, beat a professional basketball team in the Cleveland Cavaliers. ​Some think the question is ridiculous but other fans believe that these group of teenagers and young men can beat the professional veterans; players who have been in the NBA for 5+ years. Duke recently put together what seems to be the greatest recruiting class ever with the top three ranked players coming to the school and the number one point guard in the nation deciding to come to there as well. The recruits plus a collection of great role players from the prior season and a few starters returning, the team is well rounded and lead by a hall of fame coach in Mike Krzyzewski. No matter how good a college team can be, some fans say a team is defined by their experience and IQ. That is why the argument can be made that no matter how good of a college team you can put together the NBA team will always have the upper hand due to their experience. These are 5 year, 10 year, maybe even close to 15 year professionals, playing collegiate level teenagers. Grown men against boys in a sense. At the end of the day, there is no need to compare the players because we will never see the two teams clash. Will we one day be able to see the best college team face the worst pro team? Only time will tell, but until them we can sit back and appreciate the beautiful game for what it is. Duke and Kansas prove to be front runners for title race after SF Classic. 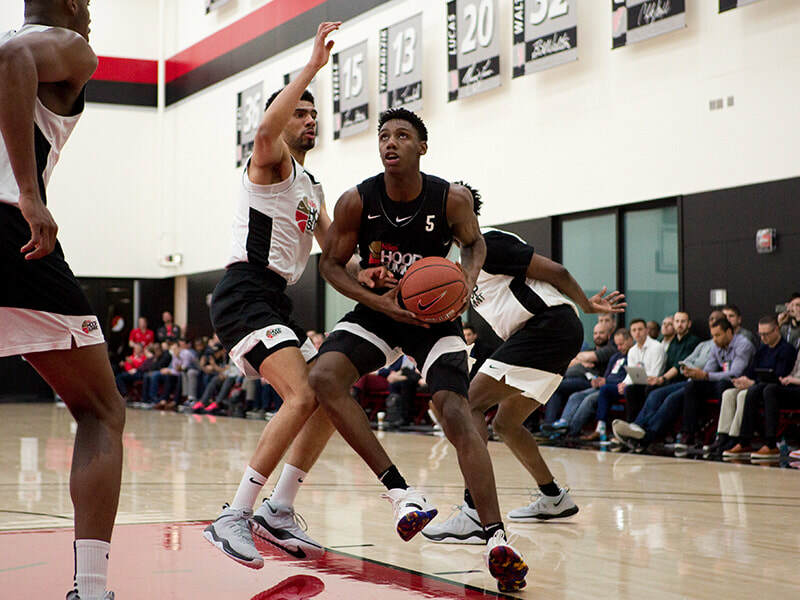 On November 6th the coveted State Farm Classic games kicked off as the Kansas Jayhawks played the Michigan State Spartans and the Duke Blue Devils faced off against the Kentucky Wildcats. The first of the games to be played was Kansas against Michigan State. Off the rip Kansas took a double digit lead as freshman phenoms Quentin Grimes and Devon Dotson set the pace of the entire game. From the backcourt the duo showed glimpses of possibly being the best backcourt we see in college ball this season. All American transfer Dedric Lawson added to the teams spark, putting up an impressive 20 points and 14 rebounds to go along with it; putting in an early bid for the Player of the Year award. Michigan State slowed the spark of the team towards the middle of the second half but still ended up taking a 92-87 despite there late success. The second of the games to be played was Duke University vs The University of Kentucky. This game proved one thing and that is Duke is THE truth. Duke handed Kentucky a 188-84 loss. Coming in as just a 4 seed, they showed the college basketball world that they mean business. Star freshmen Cam Reddish, RJ Barrett, and Zion Williamson combined for a whopping 83 points. Just one point shy of how many points Kentucky scored as a team. The conclusion that can be made from these two games is that Duke and Kansas will be front runners for the title race this year. Both teams play a fast paced offense, with a unforgiving defense. They will both be fun to watch this entire season. ​On Thursday, October 11th the Harlem Wizards emerged from a hazy white smoke into our own Clear Creek Amana HS gym. The wizards are worldly known as great entertainers/basketball players and on that Thursday night they showed us just how good they were. The night started out with the Wizards warming up with the “Wiz Kids”. All you have to do to be a “Wiz Kid” is to buy a jersey from the team and you can ask to warm up with them. This was a great entertainer for the small children that wanted to see the team up close. ​basketball game but as the night grew the Wizards started to get more and more silly and by halftime most of the game was little skits that they were playing out. But when they were actually playing basketball it was kind of like a little dance they were doing. Everyone knew what they were doing and nothing really got in their way. Even with the skits they took breaks for games and about every ten minutes or so they would turn up the music to full volume and tell people to go follow their Instagram page or to post about them on their own Instagram page. Or instead of plugging their instagram they would plug their merch with the incentive that you could also be a “Wiz Kid” if you would only buy one jersey. By the last quarter this got a little annoying but even with all of that you were still pulled into the magical spell of comedy that the Wizards had put on CCA. All of the games they did were mostly centered around their merchandise. Like making children crawl around on the ground blindfolded for merch. Or seeing who was the loudest fan so they could earn merch. They also played a relay race and everyone involved got a free jersey and was apart of the “Wiz Kids”. Besides all the fun and games they also took time to talk about breast cancer. It was very refreshing, with this serious little talk everyone loved them even more. Yes being funny is great but if you can take some time out of your own games and comedy sketches to talk about a serious problem that is harming many people, you get major points. With the game ending around 9:00 pm and the ending score 81-79 in favor of the Wizards, everyone had a great time and left the gym that night laughing to themselves about all of the shenanigans that went on in that gym just a few minutes ago. I think that the whole experience was amazing and that CCA need the silliness of the Wizards. We will hopefully be seeing them again. 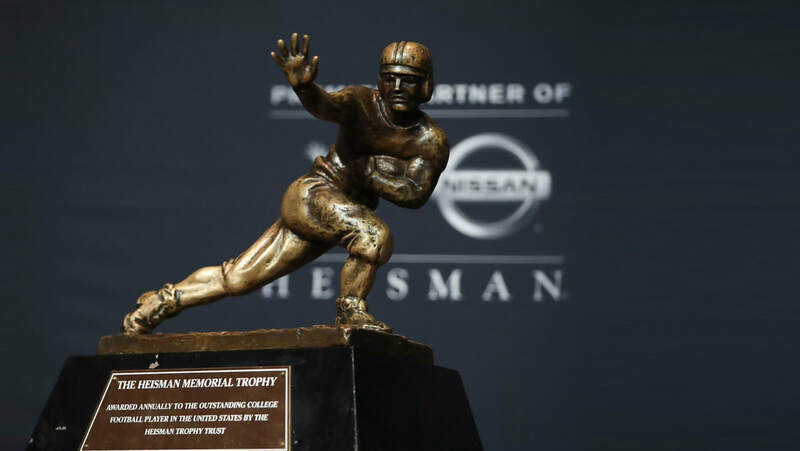 With college football in full swing, it’s time to start thinking about who’s going to end up winning the legendary Heisman trophy. There are several possibilities as to who could win it, but there are a couple of standout players that seem as though they may have the best chance to win it. Senior running back Bryce Love from Stanford has definitely made a case as to why he deserves the award. Averaging one-hundred and eleven rushing yards per game along with one touchdown, Love runs the football with such speed and power and is a big part to Stanfords 5-1 start to the season. Another favorite to win the award is senior quarterback from Penn State Trace Mcsorley. The leader of the Nittany Lions has had a great start to the season. He’s currently averaging two-hundred and nine passing yards and two passing touchdowns per game. Mcsorley has made it clear that he is a serious contender for the award. Lastly, Oregon’s junior quarterback Justin Herbert is a strong candidate. Herbert is having a breakout season, averaging two-hundred and eighty-five passing yards and three passing touchdowns per game. Justin Herbert is definitely making his name known to all opposing teams. College football is only halfway through the season. With that being said, these three players have certainly put themselves in a good position to win the award, but there is still a lot of football left to play. Only time will tell who wins this year's Heisman trophy award. 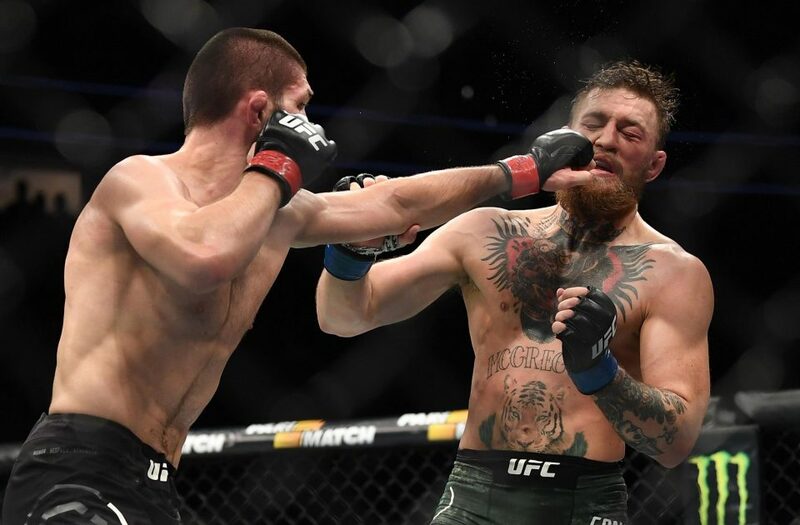 Conor McGregor and unbeaten Khabib Nurmagomedov recently faced off in the octagon on October 6th to decide who will be the new lightweight champion of the UFC. With Khabib being undefeated, and Conor being perhaps the most popular fighter in the UFC, this was destined to be an exciting fight. However, nobody expected it to turn out the way it did. The fight was fairly evenly matched throughout the first round. Both of them exchanged some solid punches and kicks, and there wasn’t an obvious better fighter at that point in the match. The second round however was a different story. Khabib was aggressive from the start, using his wrestling skills to takedown and pin Conor against the cage multiple times. Conor was getting beat up on and was getting noticeably tired. The third round went a awfully lot like the second, and the fourth round was when Khabib secured the match for himself. Khabib managed to get Conor in a choke hold, and forced him to submit in the fourth round. The referee separated the two and the fight was over, but that’s when the real madness started to happen. Khabib started yelling at Conor’s corner and his team, definitely not in a nice way. All of a sudden, Khabib jumps over the cage and starts attacking members of Conor’s team. To add to that, Khabib’s coaches also jumped over the cage and attacked a exhausted Conor McGregor. The scene got ugly, countless people started fighting and it looked disturbingly similar to a riot. After a couple of minutes, the security and police finally regained control. Khabib and his team will without question be severely punished for their actions. The Nevada State Athletic Commission will conduct a investigation as to what exactly happened after the match, and Khabib will attend a hearing on October 24th to find out what his future holds in the UFC. While younger brothers Nash and Hayes are social media icons, Will Grier is making a name for himself on the Gridiron. After being kicked off the football team and ruled eligible to play at the University of Florida, Grier was in a dark place. With nowhere to turn, Grier was still determined to step on the field and finish off his college career. Once finally being offered to play for the West Virginia University football team, he seized the opportunity to the fullest. He had one thing in mind and that was winning. He’d do anything to win. After a successful comeback in his junior season, he’s upped the ante this season. In his final season of eligibility for college football, he is looking like a veteran NFL Quarterback. He is currently a front runner for Big-12 Player of the Year and most importantly the coveted Heisman Trophy. The same thing is said every time when he asked about the possible achievements. “I don’t wake up everyday wanting to win the Heisman, I play to win”. Through all of the newfound attention, Grier still maintains humble. 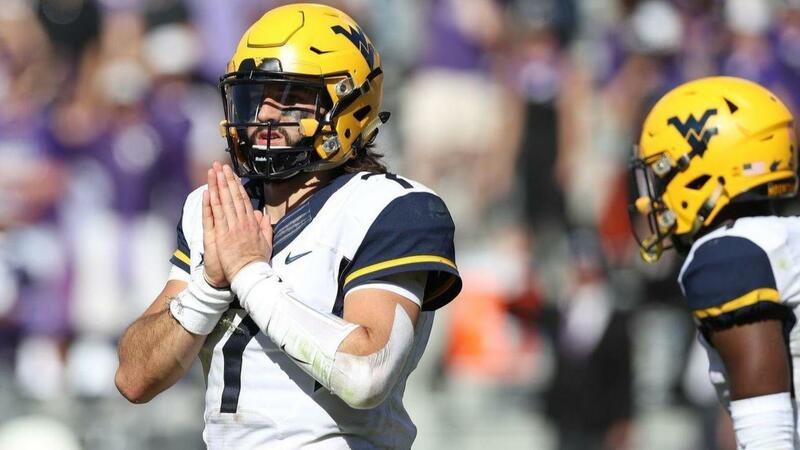 After being placed in first for the Heisman race week after week, all he wants is another W in the West Virginia record. Off the field he is humble but on the field he is a dog. Grier is always looking to extend the drive and often putting his body on the line just to win the game for WV. Grier and Senior receiver David Sills V, are easily a top three QB-WR duo in the nation. Currently Grier is sitting on 1117 throwing yards for a staggering 14 touchdowns. West Virginia is also sitting at a perfect 3-0 and will take on conference rivals in Texas Tech this Saturday. LeBron and the Cavs had a tough first series of the NBA playoffs against the Indiana Pacers going into 7 games when LeBron put the Pacers down with a win at home in game 7. The Cavaliers had what looked like was going to be tough series ahead of them, but with LeBron James on the roster… anything can happen. The Cavs are the 4th seed in the NBA Western Conference; the Raptors are the 1st seed in the Western Conference. But last year when the Cavs and Raptors met, it was all the LeBron show as they swept the Raptors 4-0 in a 7 game series. But this season many people thought that would go differently with Kyrie not with the Cavs anymore, and many roster changes with inexperienced players. LeBron James showed why you should never doubt his team. The Cavs started the series in Toronto because they had home court advantage the first two games because of being a better seed. But even with home court, Drake trash talking, LeBron showed up the home crowd with a triple double and ceased an overtime win 113-112. After winning game 2 in Toronto in dominant fashion 128-110 the Cavs and LeBron started to look very promising in this series and to advance to the conference finals. The Cavs had the next two games at home in Cleveland where LeBron gave the fans what they wanted by hitting an impossible shot at the buzzer for the win--making him have the most postseason game wins in NBA history. To finish off the series, LeBron and the Cavs played tremendous basketball, not missing a three pointer nearly the whole first half. J.R. Smith, Kyle Korver, and George Hill were on fire from downtown. The Cavs cruised to a 128-93 victory to end the series and advance to the conference finals where they will face the new home to an injured Kyrie Irving, the Boston Celtics. Both the CCA girls and boys track teams have officially entered the ‘championship phase’ of their seasons this past weekend. This is known as the period of time between the Drake Relays and state championships in which teams compete for Drake, conference, district and state titles. Both the boys’ and girls’ teams were able to send athletes to the first phase of this piece of the season: The Drake Relays. The Drake relays are one of the biggest track and field events in the nation. High school athletes, as well as college and elite/olympic runners come together to compete against their respective groups. For the Clipper girls, Ainsley Schrock qualified in the discus. Schrock came into drake with a personal best throw of 127’ 9’’. She was able to throw 116’ 4’’ and place 16th. She is currently second in 3A and will look to have continued success into the state championship meet. The Creek boys were able to qualify for two events with Seb Johanson in the 110m high hurdles and the quartet of Matt Brimeyer, Johanson, Trevor Stockman and Alex Figueroa in the 4x100 meter relay. In the high hurdles, Johansson entered Drake with a season best time of 15.04. This brought him in ranked 15th in the state. At Drake, he ran a 15.51 , which was good enough for a top 20 finish. The 4x100m relay team previously ran a 24th in 3A time of 45.07. They put together a 45.55 at the Drake relays and now look forward to the state qualifying meet next Thursday in Pella. A hundred years ago, Francina Elsje Blankers-Koen was born in Lage Vuursche, a village located in the Netherlands. According to Quartz Media, Blankers-Koen had a passion for sports since she was seventeen. She first started competing in the Olympics in 1936. Since then, she broke many world records. Many of her achievements were made after she became a mother. According to The Independent, she had a son in 1941, and a daughter in 1946. She also received criticism for being both a housewife and athlete. One journalist even wrote that she was “too old to make the grade.” But she ended up winning four gold Olympic medals and teaching many that housewives can be strong and achieve anything. Other athletes would later follow her lead. One example is Kikkan Randall, who (according to Bustle) had a son in 2016 and competed in the 2018 Winter Olympics as a cross-country skier for the U.S. team. In the Pyeongchang 2018 Olympics, Kikkan Randall helped the U.S. earn its first gold medal in the women’s team sprint event, according to NBC Olympics.